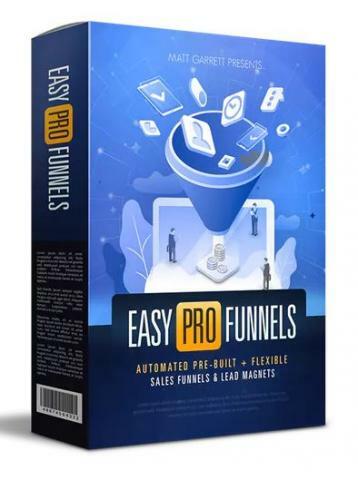 Matt Garrett, an online marketing expert and software developer, announced Easy Pro Funnels, a software designed to help internet marketers increase their business success and streamline product selection and promotion processes. Digital marketing expert Matt Garrett announced the launch of Easy Pro Funnels, a software designed to help internet marketers find and promote high-quality products. By streamlining the entire marketing process, from product selection to lead magnet and bonus page creation, the software is ideal for beginning marketers looking to increase their business success. More information can be found at http://letsgolook.at/EasyProFunnels. Internet marketing has become one of the fastest-growing online industries, since more than 90% of modern consumers use online resources to find businesses, products and services. However, for beginning marketers, implementing the most effective strategies can often be challenging. Easy Pro Funnels was designed to offer a complete service for any internet marketer interested in increasing their marketing success. The software includes an extensive product selection feature which helps users find digital products to promote, such as software, template packages, training courses and various others. Based on these products, Easy Pro Funnels allows users to create all the necessary pages to promote their products to a wide audience of potential customers. Available features include lead magnet and sales page creation and personalization, custom bonus pages, and various others. Additionally, all users benefit from expert training on improving their marketing efficiency, building a high-quality e-mail list, and other essential skills. For high standards of quality and customer satisfaction, each purchase is covered by a 30-day money-back guarantee.